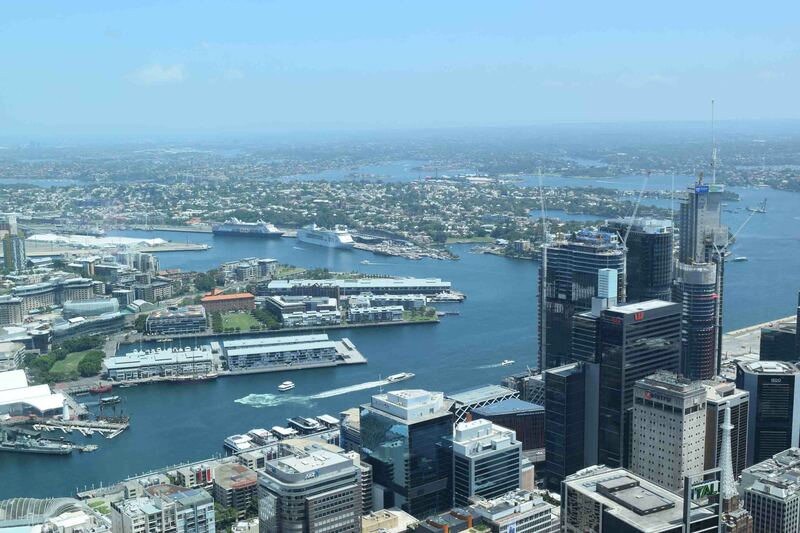 Sydney and Melbourne both have quite a bit to offer the visitor. They are loads of little differences between the two cities. But both are worth a good few days. I’ve always thought that Sydney had more for the tourist, but Melbourne is a better place to live. So today I thought I’d examine it all a little further. Firstly, I thought I would start with sport. Aussies love sport and there are many different sports venues in both cities to view the sport. 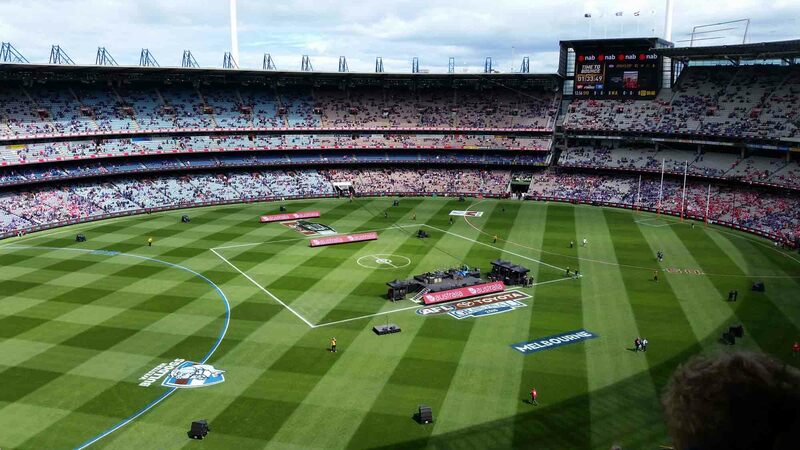 Both have a couple of big stadiums for Rugby, Soccer and Aussie Rules Football. 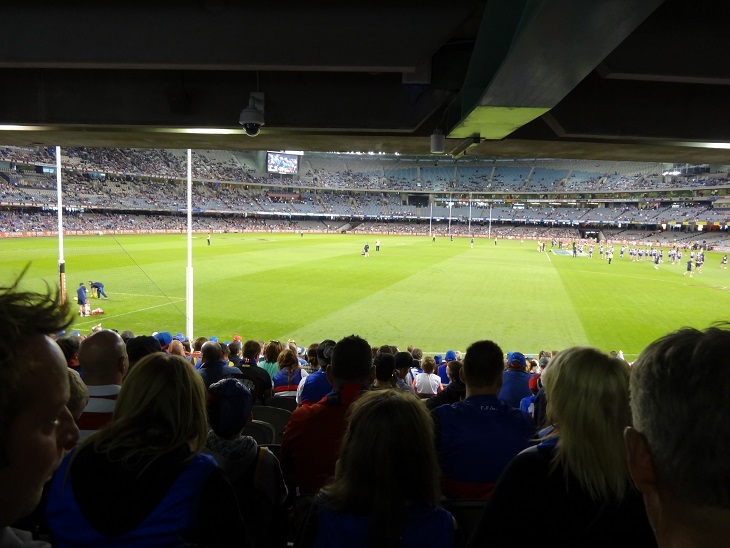 For me I will always favour Melbourne for sport as it’s where Aussie Rules is biggest and there has been nothing in my life so amazing as to see my team, the Western Bulldogs, win the premiership last year at the Grand Final at the MCG in front of 19 shy of 100,000 people. Melbourne also has the Aussie Open tennis and Grand Prix (if you like cars driving fast around a lake :P). Sydney had the Olympics and is the centre for Rugby League in Australia. Both the MCG and SCG are great ground for cricket in the summer. But, I already gave a point to Melbourne on sport. There are sights aplenty in Sydney. 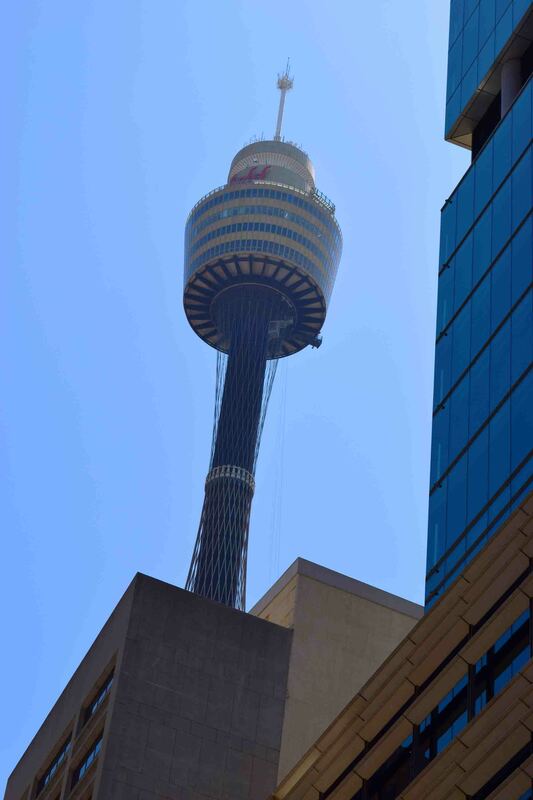 There’s the Sydney Tower. Melbourne responds with the Eureka Skydeck – a glass observation deck in the highest building in the Southern Hemisphere. Let’s compare the views. Well, for sure, Sydney’s harbour is just an amazing part of the world. Melbourne has Port Phillip Bay, which is HUGE, and down the peninsula there are some wonderful beaches. Are any of them as good as Bondi or Manly though? I can’t say that they are. 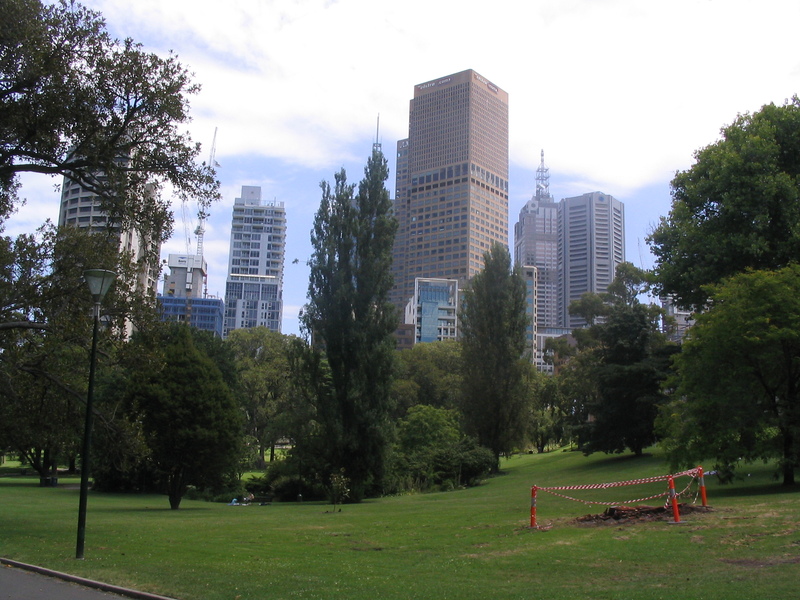 The area in the city around Southbank (next to the Yarra River) is pretty special though. Crowne Casino is not one of my favourite places in the world, but many visitors to Melbourne seem rather attracted to it. 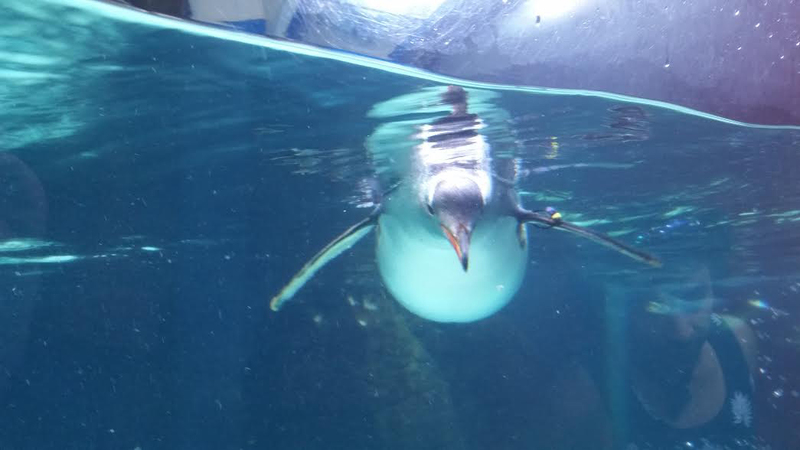 It’s also the location of the amazing Melbourne Aquarium, which I blogged about recently, and its incredible King Penguins. 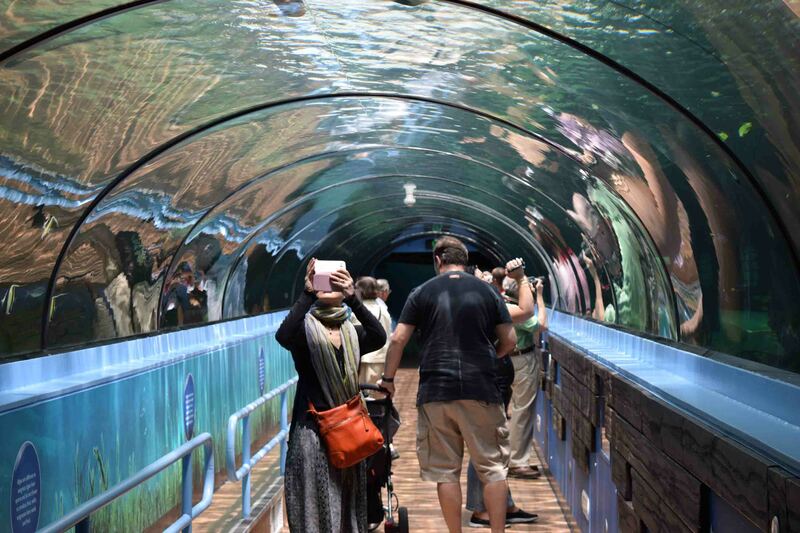 Sydney also has its own aquarium, which is worth a visit, set right next to Darling Harbour a beautiful spot in Sydney with Madame Tussaud’s (worth it for a giggle) and plenty of eateries around. 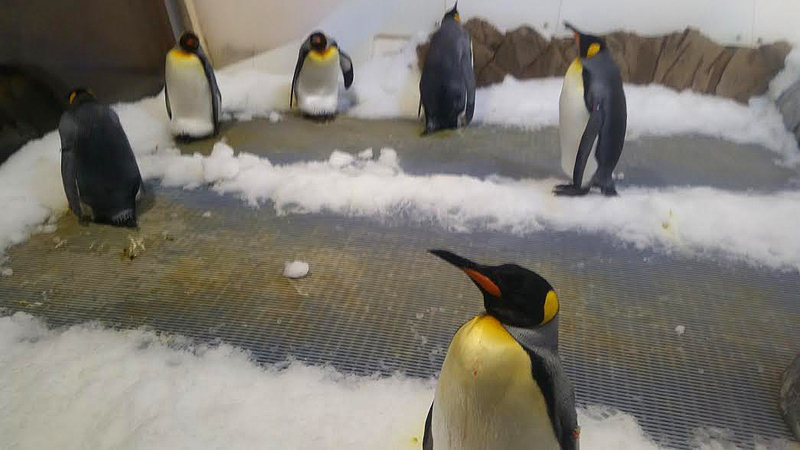 King penguins at Melbourne Aquarium. Food is great in both cities, but I would have to give the nod to Melbourne. The mix of cultures in Melbourne means you can get just about any cuisine your heart desires. I don’t really review restaurants, and I can’t say I can remember the ones I went to in Sydney. Sydney Opera House from the ferry. Transport. I would give this to Sydney. Ironically it’s sort of a topic that Melburnians and Sydneysiders argue, claiming their city is WORSE. I will put it down to one major factor – there’s a train to Sydney Airport, Melbourne you have to take a bus if you want to reach it by public transport. I also found trains running to more spots in Sydney and generally, on time. Melbourne’s train delays are legendary. On the other side of the coin, trams are pretty cool and a different way to get around. Still, Sydney supplements trains and buses with ferries. 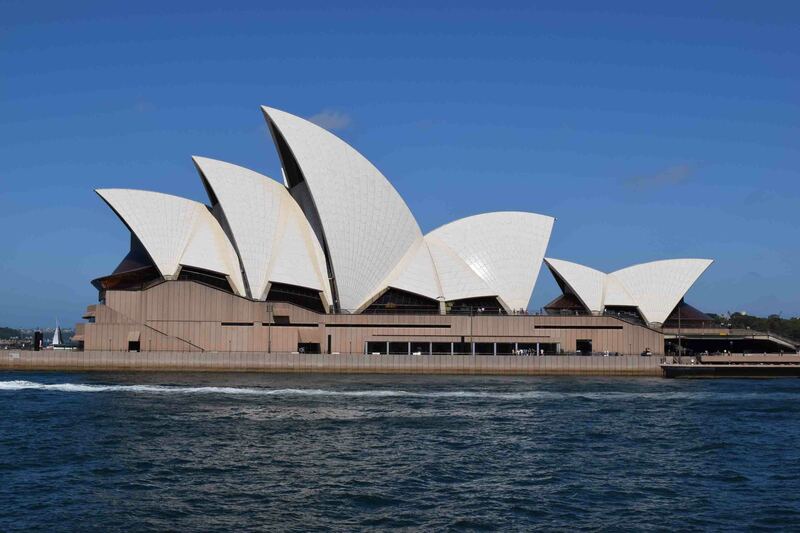 Historically, Sydney is older than Melbourne. Melbourne was settled mid-19th century as a free city, whereas Sydney’s roots go back to the first fleet’s arrival and that of convicts. Of course – both land areas had indigenous populations (and still do) and that history dwarfs white history. Melbourne has the Old Melbourne Gaol which is worth a visit – it’s the place where famous bushranger Ned Kelly was hanged. Day trip wise, both cities offer much. The Blue Mountains and even the Hunter Valley are not that far from Sydney. Melbourne offers day trips to the Yarra Valley, like the Hunter Valley a great wine region of its state. Healesville has a great wildlife sanctuary you should definitely visit to get a good look at Australian animals. Both Melbourne and Toronga (Sydney) Zoos are excellent zoos, although it’s been so so many years since I visited Toronga Zoo. Melbourne Zoo is a brilliant day with so many animals, open areas and the odd concert. Likewise, both botanical gardens are wonderful. Back on animals and day trips, you have the penguins that come in onto the beaches on Phillip Island which is a 2-hout drive from Melbourne. The Twelve Apostles are a little further but companies do run day tours to them. Weather. Well. Now you see, although it doesn’t have the greatest reputation, I really like Melbourne weather. In the summer it can get really hot – 40 plus around 3-5 days a year. It never stays like that for a long period of time. It goes up and down like a yoyo in the ‘warmer’ months, and rarely is hot or cold for more than 3-4 days. In the winter it gets down to 5 or below (Celcius) at night, daytime maximums of 10-15 degrees at the coldest time of year, usually July. On the other hand Sydney has less variation, but it can reach on the odd occasion 40 degrees. I find the summer there to be just too muggy. It is far more humid than Melbourne, which is not my favourite kind of heat (although dry heat has its regrettable side effects). 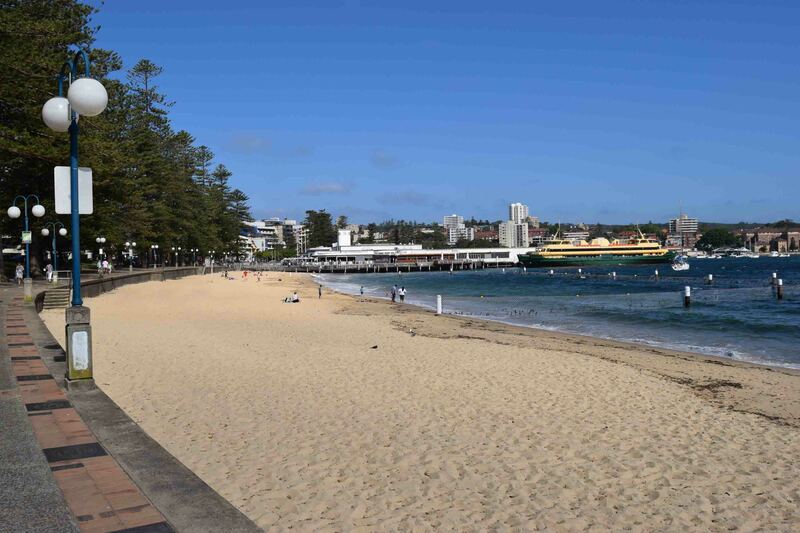 Sydney sees a lot more rain over the summer months than Melbourne, despite people thinking Melbourne is a wet place, it is actually the second driest of all state and territory capitals behind Adelaide. However, it probably rains more frequently, whereas when it rains in Sydney, it rains much harder. Drizzle is a familiar winter experience in Melbourne. May – Melbourne, Australia, home at long last. So. Where do I land? Obviously, no surprise, I say Melbourne. But I know Melbourne FAR more than I do Sydney and there is clear bias in my opinion. What is YOURS? And WHY? 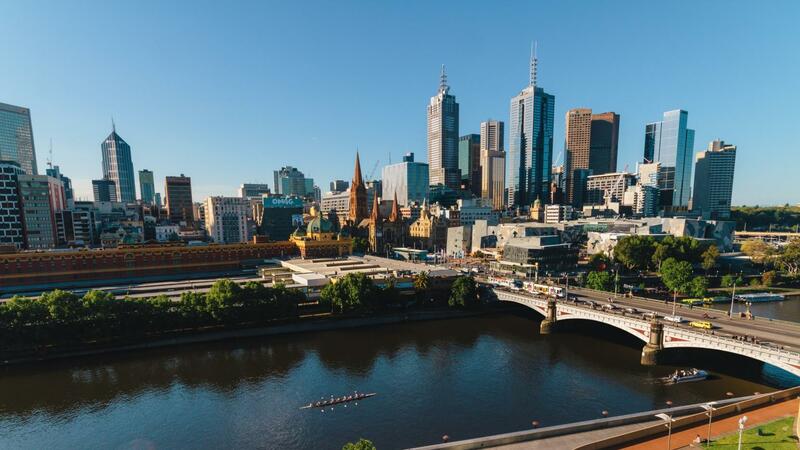 Seemingly by fate today I noticed as preparing this post that Agness of Etramping.com published a post – 9 Top Things to Do in Melbourne. So please do check it out! 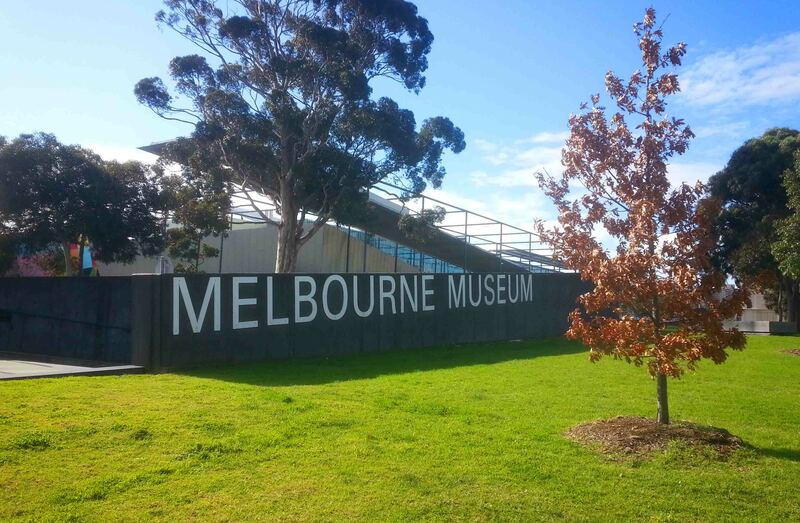 Melbourne Museum is also good value! thanks for reading! Do come to melbourne when you get the chance! Thanks for including my article, Andy! It will definitely give additional information about Melbourne! My pleasure it turned up at the right time! thanks for stopping by. Melbourne undoubtably has wonderful WONDERFUL food! I’ll be sure to check out what your husband wrote! okay Gilda I will be looking out for it! Thanks for posting! Ahhhhahahaha! Nice one! I thought that might happen :p As a Sydneysider living in Melbourne, I have to say I kind of agree from a LIVING point of view… Melbourne is so much easier, more affordable and interesting… but then Sydney has the natural beauty… but I’d need to be a millionaire to enjoy Sydney’s beauty the way that I enjoy Melbourne’s lifestyle! yes thats very very true! Thats for commenting!